Happy Friday everyone and today is the start of our long weekend, Monday is Victoria Day. JB and I will also be celebrating 20 years in this house. Seems almost yesterday we stepped into our house. What a mess, we wondered what we got ourselves into. Anyways a long story and not going to elaborate on it now. I wanted so show you this cool Eco Shape, an arch with a door that is also a separate Eco shape from Artchix Studio. Recently I had placed an order and I received the arch and the door with instructions if I wanted to alter it or decorate it then place it on the Facebook page for all to see and a chance to win something. Well here is my piece. After the turquoise cat was painted I covered with a paint brush 2 layers of Turquoise Stickles then when that was dry I applied a coat of Glossy Accents. 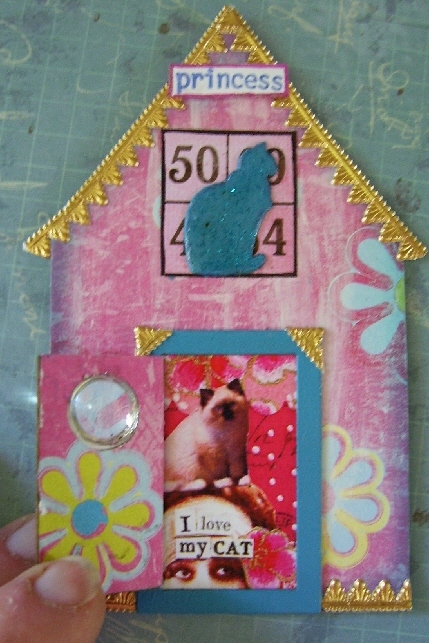 I then found a pink bingo card that someone gave me but sure looks like an Artchix bingo card but not sure and cut out 4 numbers then placed it on the house then the cat in the center of it. 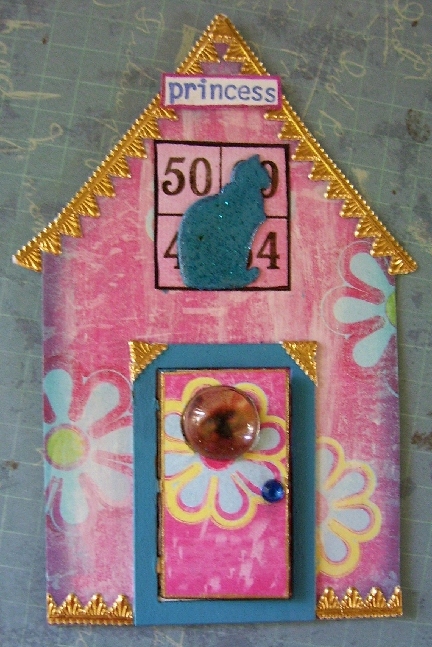 I also added German Scrap at the bottom edge of either side of the door and at the top corners of the door frame. This was fun. 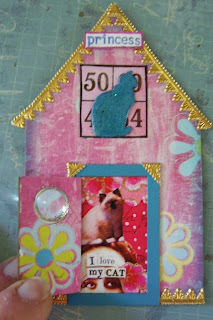 I have 2 pics here to show the door closed then the door open so you can see the full image. Thanks for looking, now off to post on Facebook then I am going to make another post to show you a few other items I have been working on.